The Tampa Bay Lightning have announced that former Detroit Red Wings captain and executive Steve Yzerman is their new General Manager. The Lightning have been on a steady decline since winning the Stanley Cup six years ago. The Lightning fired GM Brian Lawton and coach Rick Tocchet back on April 12. They have now filled one of the two positions. Steve Yzerman brings a wealth of hockey experience as well as a reputation of being one of the classiest and most decent people in all of sports. Most recently Yzerman was the General Manager of team Canada's gold medal winning hockey team at the Vancouver Olympics. This is a great move by the Lightning, which also has a bright future with rising stars like Steven Stamkos and Victor Hedman. 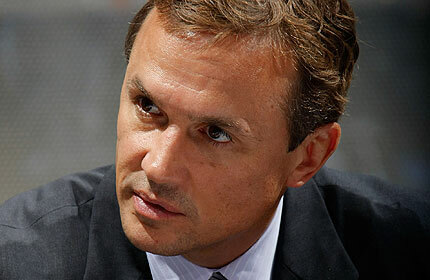 With Yzerman at the helm the Lightning will certainly be a factor in the NHL in the near future.